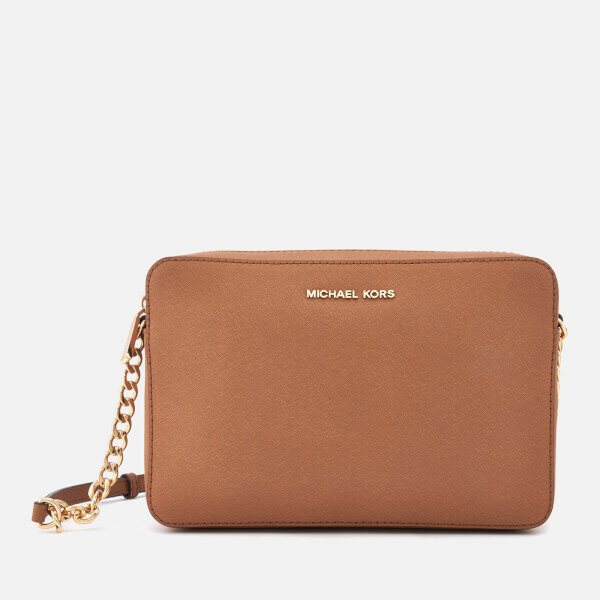 Women's leather crossbody bag from MICHAEL MICHAEL KORS. 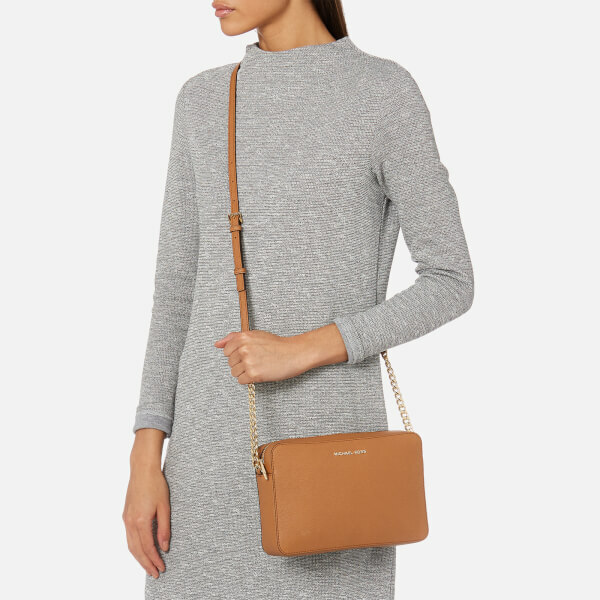 Crafted from textured leather with a structured design, the 'Large East West' bag features a top zip fastening that opens to reveal a lined internal with two slip pockets for extra storage. 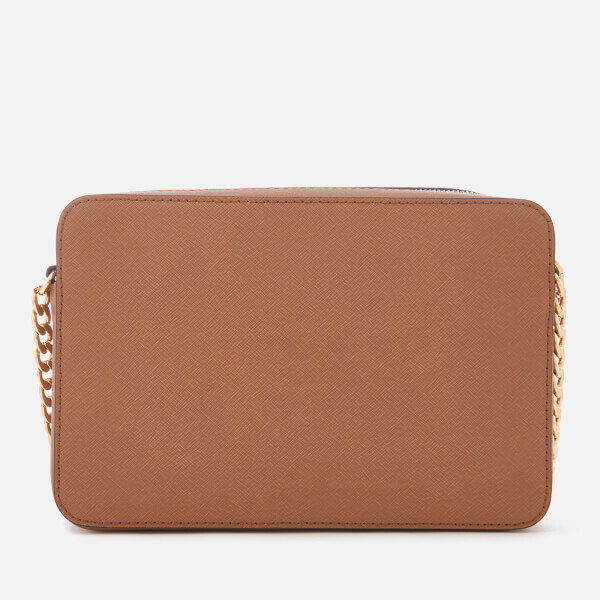 Fitted with a chain and leather shoulder strap for easy carrying. Branding to the front. 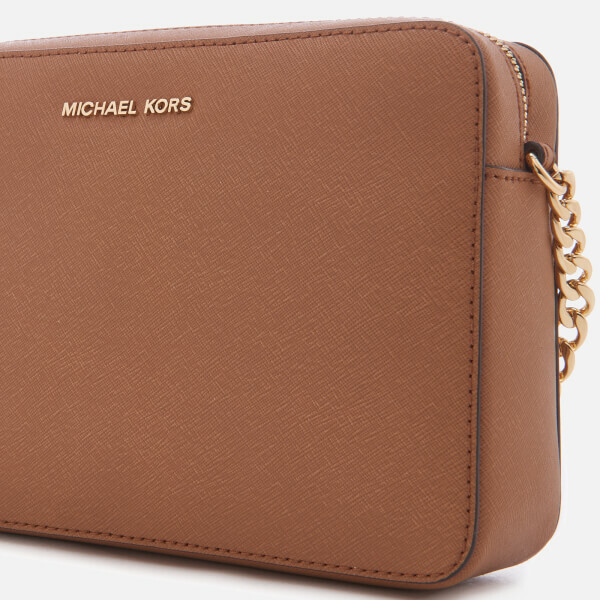 Gold tone hardware.